If you have any questions, concerns, or comments regarding Dr. Ben Elchami, please fill out the short contact form below. Ben Elchami, DMD, is a trusted provider of skilled, compassionate dental care for patients throughout New York City’s Midtown East, Manhattan area. At Chami Dental, Dr. Elchami offers a comprehensive array of patient-centered care options, including Invisalign®, root canal therapy, teeth whitening, white fillings, dental crowns and veneers, restorations of dental implants, and emergency patient care. As a top-ranked general and cosmetic dentist, Dr. Elchami is committed to providing individualized care and custom treatment programs designed for each patient’s unique needs and treatment objectives. Dr. Elchami completed his bachelor’s degree from New York University and his dental degree from the University of Medicine and Dentistry of New Jersey (UMDNJ). He completed a general dentistry residency at Hackensack University Medical Center, Hackensack, New Jersey. A member of the American Dental Association, the Academy of General Dentistry, and the American Academy of Implant Dentistry, Dr. Elchami has been honored multiple times by New Jersey Monthly magazine as one of the area’s top dentists. Dedicated to the health and well-being of his patients, a conservative approach is taken by Dr. Elchami to offer in-depth evaluations to identify each patient’s specific needs so treatment can be optimized for the best possible results. Chami Dental is conveniently located on Madison Avenue and features the most advanced equipment and technology to ensure superior outcomes for every patient. Dr. Elchami is also actively involved in continuing education activities to hone his skills and ensure his patients have access to the most innovative and effective treatment options and materials. Dr. Elchami welcomes the opportunity to treat new patients. 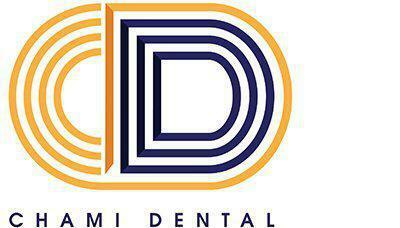 The practice accepts most major forms of dental insurance.